Take a bow, Shaw Vineyard Estate. Their 2015 Reserve Merriman Cabernet Sauvignon wowed judges and was named 'Best Red In Show' at the 2017 Australian Cool Climate Wine Awards. Chair Of Judges Sarah Andrew said the wine, with strong blackcurrant and earthy notes, "showed beautiful varietal definition" and "purity of fruit". Judges gathered for five full days of tasting in Murrumbateman for the 18th annual awards, swirling, sniffing, and tasting wines from 513 entrants. Lerida Estate's 2017 Pinot Noir Rosé won trophy for its class. The wine went on to compete for the 'Best Red' trophy and was 'pipped at the post' and came in close second to the Shaw Vineyard Estate drop. "On the first day of the show we did our rosé judging and everyone loved it right from the beginning," Ms Andrew said. "Really pretty floral petals, a beautiful colour, lovely acidity - a lovely delicate rosé." Lerida Estate also won the 'Best Shiraz Viognier Of Show' with its 2016 vintage wine. A Western Australian white, the Marchard & Bruch Villages 2016 Chardonnay, won the 'Best White' and 'Best Wine Of Show' trophy. "It was from Porongurup and Mt Barker," Ms Andrew said. "A delicate yet complex chardonnay, a pithy texture, tension from front to back and a delightfully long finish." The A+ Australian Wine School Educator and Certified Sommelier decoded the wine lingo a bit to say the wine had "beautiful citrus and green apple fruit characteristics and a hint of tangerine pith." The field of rosé entrants was almost double what had been typical in prior years and Ms Andrew explained the surge was connected to climate and consumer trends. "Consumers are now drinking and wanting to drink rosé," she said. The wider variety of fruit grown across Australia had also enabled wineries to go beyond Pinot Noir and use Tempranillo and Grenache grapes to create styles of rosé. Wines from Orange NSW won four trophy places, as did ACT and region wineries, however Tasmania, South Australia's Adelaide Hills, and Victoria's Yarra Valley also performed very well in medal categories. Warmer conditions had impacted the wine show competition, Ms Andrew said, with Pinot Noir class wines, which typically performed very well, receiving just two silver and two bronze medals. "We didn't end up awarding a Pinot Noir trophy and we normally do," she said. "The warmer conditions made it a little more challenging in terms of the growing." Just two silvers and one bronze medal were awarded to Pinot Noir wines, whereas normally there would be a lot more medals and at least a couple of gold. 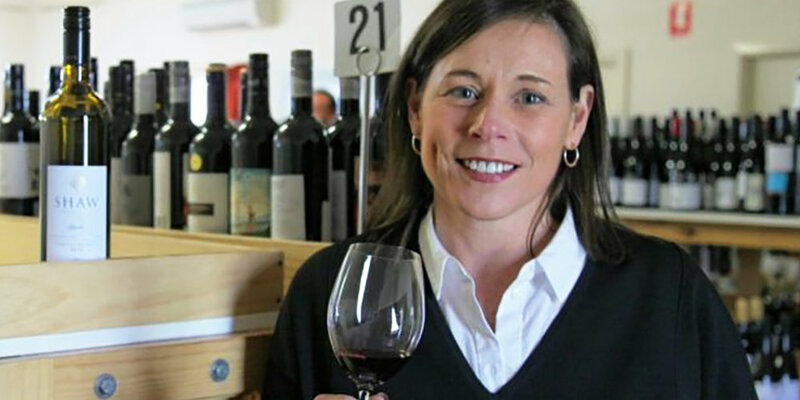 Change in climate was impacting Australian wine making and Ms Andrew said a handful of areas were best-placed to preserve the distinct profile of cool climate wine. "Regions such as Canberra, Orange, and Murrumbateman that do have altitude will certainly stand in good stead going forward."